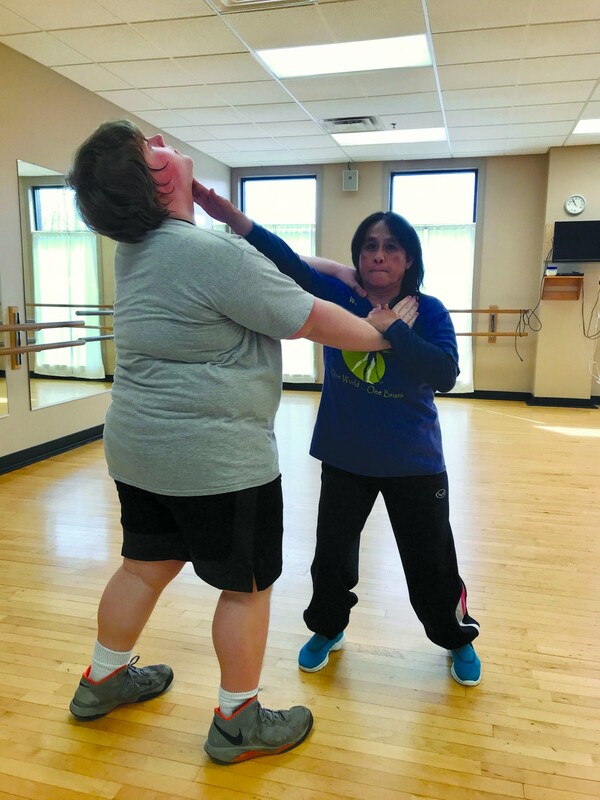 Nikki Desch, self-defense instructor, demonstrates an attack in the Self-Defense for Women class at Cane Creek Recreational Center. 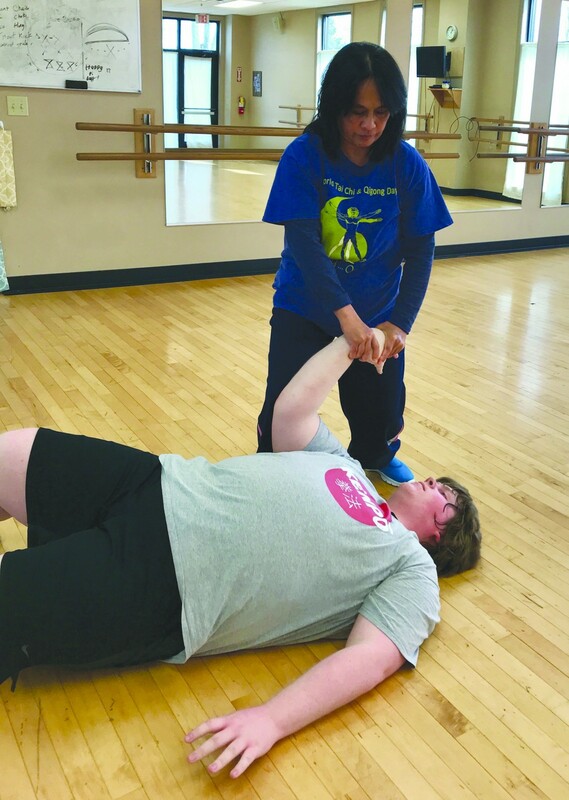 A woman with 30 years of martial arts experience is teaching Tennessee Tech students how to defend themselves in the Self-Defense for Women class at Cane Creek Recreational Center in Cookeville. Nikki Desch, instructor, teaches women in a classroom setting how to defend themselves in an attack. "It's just in my blood to teach. It's not just self-defense, but the teaching of martial arts in different systems, different styles," Desch said. Desch studied martial arts in Japan, the Philippines, Thailand and the United States since the 1970s. Desch earned three black belts including the Mu-Gen Karate FifthDegree, BUSHI-No-Ryu Karate Fourth Degree and Shorin Ryu Karate First Degree. The class begins with stretches, then she demonstrates the attack from the attacker and victim perspectives, before the students practice the moves on each other. Desch also shows different ways to escape each attack, because, as a victim herself, she is aware no attack is the same. "It's all about not thinking and just doing," Tech student Taylor Mann said. Desch teaches how to move the body during an attack and use the student's momentum against the opponent, which is essential with smaller students. Desch said she was attacked in real life and uses that experience to teach her students how to defend themselves. "I think the biggest guy I've ever taken down was around 400 pounds. I got the biggest attacker that I have in my school, and I told him to attack...and the next thing I knew he flew up to the wall and fell down to the ground,” Desch said. Self-Defense for Women is available each semester at the Cane Creek Recreational Center, located at 180 C.C. Camp Road in Cookeville. Desch said, "I feel so good being able to help out others...being able to stand on my own, be confident." Nikki Desch, self-defense instructor, pins opponent to ground in the Self-Defense for Women class at Cane Creek Recreational Center.